Times flies when you’re helping out humanitarian efforts. Okay maybe that’s not quite how the saying goes, but this Epigram Clock by Botanist gives us a little poetic license. Designed by celebrated graphic designer Milton Glaser, the clock is made of aluminum which contains up to 70% recycled content, and a percentage of the proceeds goes directly to the International Rescue Committee, an organization that responds to the world’s worst humanitarian crises and helps people to survive and rebuild their lives. Times flies when you're helping out humanitarian efforts. Okay maybe that's not quite how the saying goes, but this Epigram Clock by Botanist gives us a little poetic license. 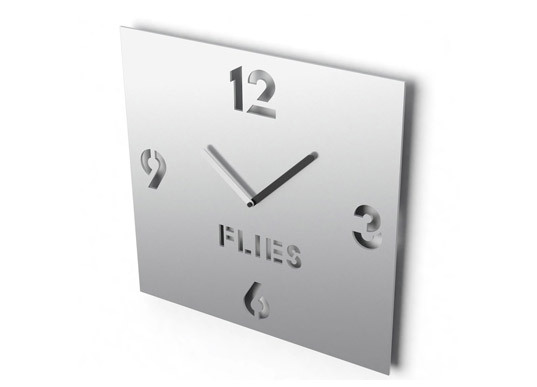 Designed by celebrated graphic designer Milton Glaser, the clock is made of aluminum which contains up to 70% recycled content, and a percentage of the proceeds goes directly to the International Rescue Committee, an organization that responds to the world’s worst humanitarian crises and helps people to survive and rebuild their lives.